If you could prevent your best friend from getting a disease or becoming sick, would you? Of course you would! New Bedford pet owners should consider preventive treatments, such as vaccinations and preventives, such as heartworm treatment for dogs, as a means of protecting their best furry friends from getting serious diseases and illnesses. Many of these conditions are life threatening and can be avoided just by getting care at the local veterinary clinic in Dartmouth. Why risk your pet’s health and well-being by skipping this important visit to your Southeastern Massachusetts emergency vet? When it comes to getting vaccinations for your pets, particularly cats and dogs, it is important to know what is required by law and what you may want to add and include to help keep your pet safe. Your local veterinary clinic in Dartmouth can help you to prevent most of the major infectious diseases that affect pets in New England through the use of safe and effective vaccines. 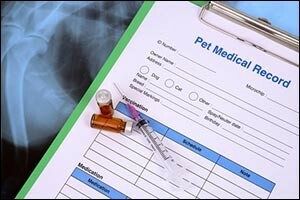 Check with your Southeastern Massachusetts emergency vet for a full run-down of recommended vaccines for your pet, but below we will feature a basic list of vaccinations that you should consider asking about for your cats and dogs. Another area that requires your attention as a pet owner in the New England area is parasite prevention. New Bedford pet owners need to understand that most parasites can be prevented through assistance from your local veterinary clinic in Dartmouth. For example, heartworm – which can be a deadly disease – can be prevented through heartworm treatment for dogs and sometimes even for cats who are at-risk. Speak with your Southeastern Massachusetts emergency vet for information on parasite prevention, what parasites are most common in the South Coast area and what else you can do at home to prevent infestation or attacks on your pet. It is also important to note that many parasites are “zoonotic,” which is a medical term used to identify parasites that can infect people, as well as animals. Preventing parasites in your pets is not just important to the health and safety of your pet, but also for your entire family. FLEAS – Preventing flea infestations is important because they can cause your pets all sorts of troubles, including skin problems, irritations, infections and they can even transmit diseases. Speak with your veterinary clinic in Dartmouth for the best solutions for you and your pet. TICKS – A serious issue here in the South Coast region, preventing ticks is important for every member of your family. Tick prevention should be used year-round for the best coverage. Speak with your vet about other things you can do to keep ticks at bay. INTESTINAL PARASITES – Roundworms, hookworms, tapeworms, whipworms and coccidia – not only are these intestinal parasites disgusting and creepy, they are also very dangerous to your pet and your family. Routine testing and preventive treatments are the best method. HEARTWORM – You hear a lot about heartworm treatment for dogs on television and at your local Southeastern Massachusetts emergency vet office. Heartworms are transmitted by mosquitoes in both cats and dogs. There are some great heartworm preventive medications that can be given, but they must be done under the direction of a veterinarian. New Bedford pet owners and pet owners throughout Southeastern Massachusetts and Rhode Island, should contact Anchor Animal Hospital in Dartmouth to find out more about vaccinations, preventive treatments, screenings and heartworm treatment for dogs and cats. You can also schedule a well check-up or annual check-up to keep your pet safe and healthy. Give us a call at 508-996-3731 to learn more about our services, which include basic healthcare, check-ups and vaccinations, as well as surgeries, treatments, x-rays and other emergency care.